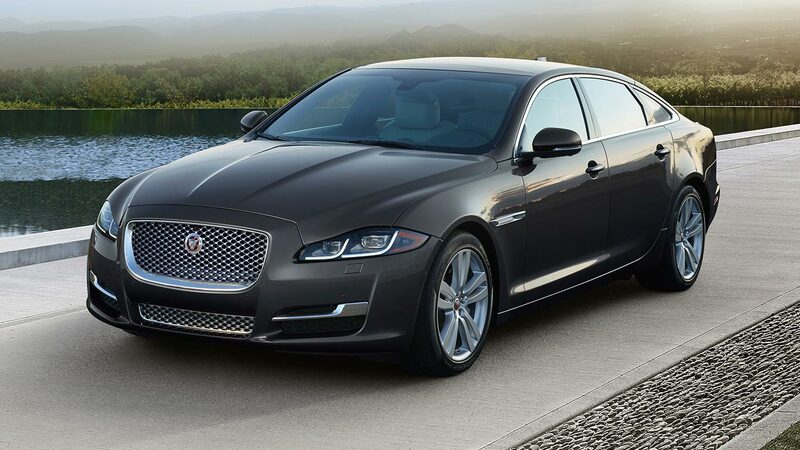 The 2018 Jaguar XJ sedan is Jaguar’s premier luxury sedan. The XJ is the standard of beauty, strength and agility. The aluminum unibody construction makes the car extremely strong and light enough to enhance performance. In fact, over 50% of the aluminum in the XJ is from recycled sources. The amazing power of the available engines and the smoothness of the drivetrain allows a completely luxurious driving experience. 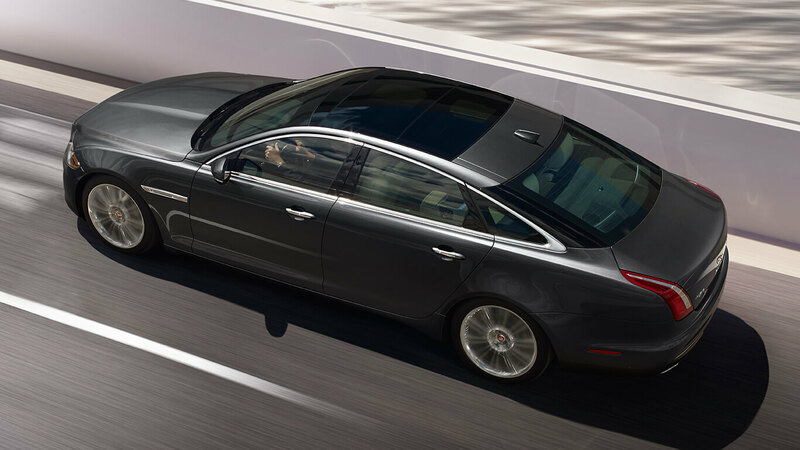 You can experience the Jaguar XJ for yourself by visiting Jaguar Colorado Springs, your Southern Colorado area Jaguar dealer. You have a choice between the base level supercharged 3.0L, 340hp V6, the 5.0L, 470hp supercharged V8, or the available 5.0L 575hp supercharged V8. Imagine the ability to take your luxury sedan to a top speed of 186 MPH and to go from 0-60 MPH in only 4.2 seconds with the 5.0L supercharged V8. The standard V6 is not standard compared to most other sedans in this class; mated to Jaguar’s 8-speed automatic transmission, it has up to 340 hp and 332 lb-ft of torque. All-wheel drive (AWD) is available on each trim level. The two upgraded V8 engine options provide that extra power that simply enhances the driving experience. The 2018 Jaguar XJ sedan is loaded with the latest technology that totally encompasses the driver with high-tech innovations that improve safety and the luxury experience. InControl Touch Pro: Every version of the 2018 Jaguar XJ has a standard advanced infotainment system called InControl Touch Pro. This system is the most advanced ever from Jaguar. This system is further enhanced with Connected navigation. The Intel Quad Core-based system has an incredible crystal-clear touchscreen for you to control everything. Rear Seat Entertainment System: Dual 10.2-inch HD screens are mounted on the rear of the front headrests for your back seat passenger’s enjoyment. You can stream video or play DVDs through WhiteFire digital wireless headphones. This system is part of Jaguar’s Premium Rear Seat Package. Meridian Sound System: The 2018 Jaguar XJ comes standard with a 20-speaker, 825-watt, 15-amplifier channel Meridian sound system. Also available is the incredible 1300-watt Digital Meridian Reference Audio System with Conversation Assist, 26 speakers, 17 amplifier channels, and ready to play all your media files and music with the utmost clarity. The technology included in the 2018 Jaguar XJ is loaded with the best features and luxury accessories that make the drive an excellent experience with the Jagaur XJ. The show-stopping 10.2″ touchscreen is now standard, along with the digital dashboard. 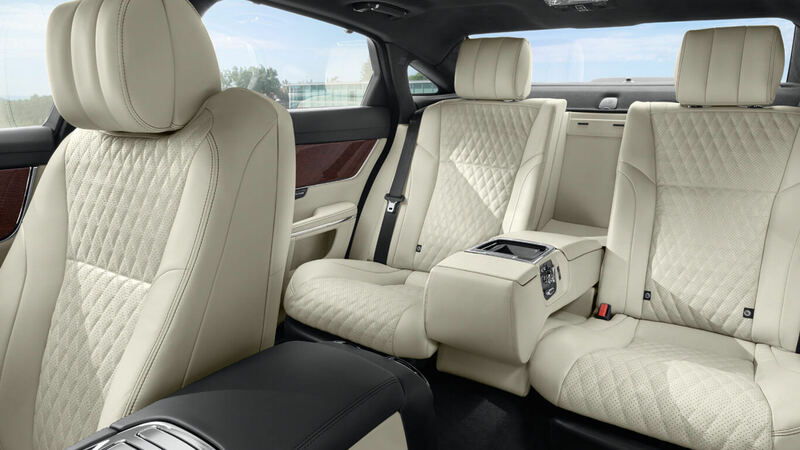 The leather seats are available in multiple colors and trims, plus heating, cooling, and massaging options are available. The legroom is second-to-none in the class. Every detail is designed for your comfort. Enjoy the 2018 Jaguar XJ! Also available in the XJR575 are some finely-detailed trim pieces. The standard headrests are embossed with the Jaguar Leaper logo. 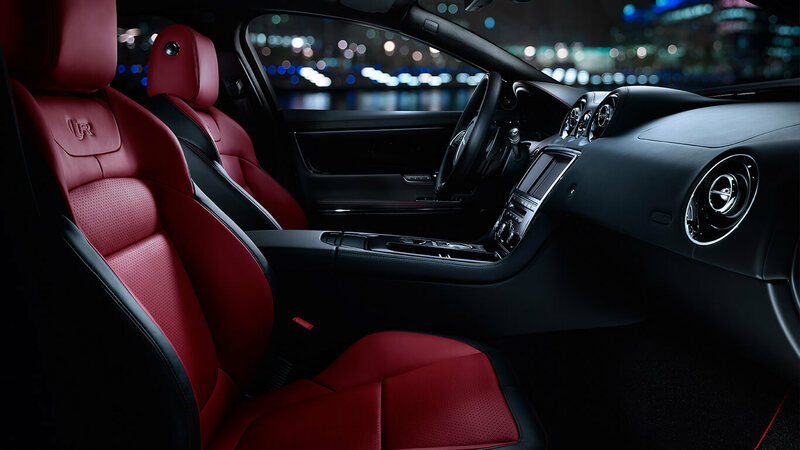 The XJR575’s headrests are embossed with the 575 logo on the front and back seats. The 2018 Jaguar XJ is loaded with the latest safety features. Driver assistance is the name of the game. The 360 degree Parking Aid and Surround Camera System are there to keep you away from obstacles when you are parking or navigating tight spaces. The Camera System’s four cameras are there to make sure you don’t hit anything. The Jaguar InControl Remote & Protect package includes SOS Emergency Call and Optimized Roadside Assisatnce. Your Jagur XJ can automatically call emergency services if you get into an accident. Blind spot monitoring, airbags with whiplash protection, and intelligent headlights are also included. The 2018 Jaguar XJ has everything you need to make your drive a luxurious one. If you live in Colorasdo Springs, Pueblo, or the surrounding area, stop in today for a test drive at Jaguar Colorado Springs. 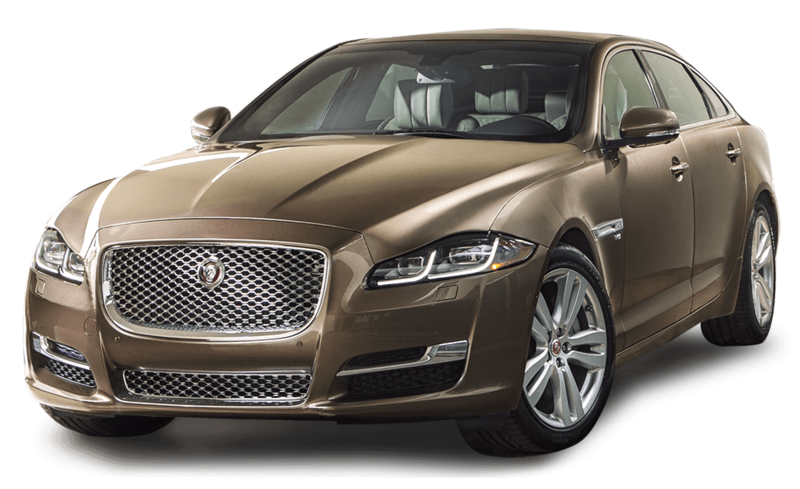 Our exclusive facility is home to a great selection of Jaguar XJ sedans, competitive financing, and an award-winning Jagaur Service facility. Find us conveniently located in Motor City at 565 Automotive Dr. in Colorado Springs, CO. Please contact one of our team for any questions or queries.